Situated on the Monterey Peninsula, Pebble Beach Golf Links is a legendary golf venue, recognized in 2001 by Golf Digest as the “Best Golf Course in the World,” the first time a public course has ever held that distinction. 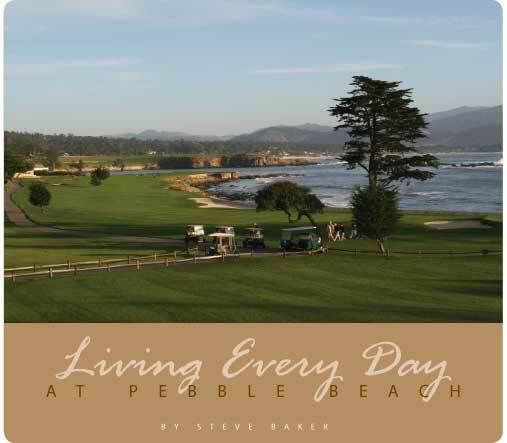 Bordered on the west by the spectacularly blue Pacific Ocean and on the east by mansions that fetch more than $20 million, Pebble Beach was founded in 1919 by Samuel Morse, a distant cousin of the inventor of the Morse Code. Pebble Beach has hosted four U.S. Opens and countless U.S. men’s amateur golf tournaments. Pebble has also been the home of the Bing Crosby National Pro Am (now known as the AT&T Pebble Beach National Pro Am) since 1947. CC:	They purchased Pebble from a Japanese group? CD:	I worked for the Japanese ownership and they were wonderful stewards of this place. I mean they really polished the diamond, so to speak. And now, the expectation of the current ownership is very high, which it should be, because I want to work alongside an employer or manager who holds this place in the same high regard I do. They bought it with the idea that we’re here for the long haul. Pebble Beach has been bought and sold a number of times. There were two Japanese ownerships, there was the Marvin Davis Ownership group, and there was a Universal Pictures or Paramount group and such. It went through all these ownership changes and we really feel like this one is going to stick. This one is for good. When they bought it, they structured it in a way where they are going to be handing down their ownership to their family members. The stability is very comforting. CC:	I’ve heard that you hit a hole-in-one on the 7th hole at Pebble Beach? CC:	Is that your favorite hole? CD:	It is now. Before that, I’d probably say the 8th hole because it offers so much drama especially when you finish the hole and you see the beautiful ocean scene in front of you. CC:	Is Pebble considered a tough course? 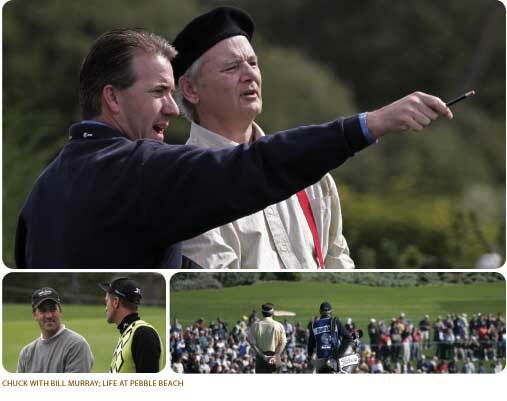 CD:	I interpret Pebble Beach as 7 holes of offense and 11 holes of defense. You feel like you are going to hit the first 7 holes with a lot of birdie opportunities, but then you have to play 8, 9 and 10. The cliffs at dune, abalone corner, you basically give it all back. You kind of just hold on. I used to say that 8 was my favorite, and it’s still at the top. CC:	How much did drinks cost in the taproom after your hole-in-one? CD:	It was a practice round for a tournament, and it was a hosted bar that night. I got off easy. It was a hosted bar for the next two nights. There are a bunch of guys I still feel like I owe drinks. CC:	What is your most memorable story at Pebble? 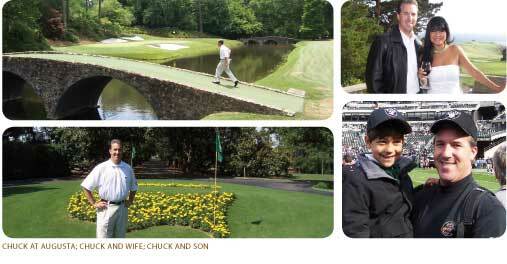 There’s a young man, and his dad wasn’t much of a golfer and his brothers weren’t golfers, but he just liked the sport. He’s from Scotland. He wrote me a letter saying that he was on a junior team, was going to be traveling and was there any way he could look at some of the holes. So he shows up here with his brother and his dad. He’s a little hesitant to ask if he could even get a golf cart and drive around the golf course. I said, well, how about this? Do you have your golf clubs with you? And he said actually he did. And I said well why don’t you go play? And he looked at me like you’ve got to be kidding. So, the dad videotaped, and the brother watched and drove the cart, and the young man played. When they got up to #7, he gets a hole-in-one. The dad got it on videotape. It was front-page news in that little town in Scotland. The dad sent me the article. Those are the things that give me the most enjoyment and leave impressions with me that I will never forget. CC:	What does Pebble Beach mean to the golf community? CD:	You can’t go through a golf magazine or watch a golf telecast without someone bringing up the two words “Pebble Beach.” You can’t - I’ve tried. It doesn’t matter where they’re playing. They could be playing the Honda. They could be playing at Bay Hill. In fact, it’s bigger than gold. Last year I was watching a replay of the Nathan’s hot dog eating contest from Coney Island and the guy introduced it this way - ladies and gentlemen, in golf you have Pebble Beach, but in hot dog eating contests, you have Nathan’s. He didn’t say in tennis you have Wimbledon or in baseball you have Fenway Park. That’s how big a deal it is. CC:	You sound like one of those lucky people who love their job. CD: I get to call this my office every day. It’s a lot of fun. It’s a lot of hard work as well. In any career, it doesn’t matter if you’re in golf or selling widgets, there’s a progression where you think, okay, I want to graduate from college, and then I want to get into a business that I enjoy, and then I want to become manager and make a positive difference on the job. I was the same way. I got into the golf business. I wanted to get my PGA card within three years. I wanted to get into management three years after that, and I wanted to be a head pro someday. It was a lot of hard work, and being in the right place at the right time, and being with the right person at the right place at the right time. I’ve gotten to a place now that I don’t have to look anymore. I don’t know if this is the last job I will ever have, but people are going to have to look for me. I don’t have to look for anything else because I’m happy. CC:	What is Pebble Beach going to be like 100 years from now? CD:	I hope it stays close to what it is today. For example, I get approached from people that want to talk to us about putting in a GPS system and all that other stuff. We just want people to play the old fashioned way, the way it was meant to be played. We keep up with the technology and the new equipment, but we also want to maintain the integrity of the golf course, the toughness of the golf course, the fairness of the golf course as things around you that you can’t control change. Now, if you go on a PGA tour, there are mobile gyms. Twenty years ago, are you kidding me, you were still seeing Arnold Palmer and Jack Nicholas smoking cigarettes. The physical aspects that golfers have today, the training they do, the ball and the club, mean that you have to look at the golf course and make adjustments, especially in a place like this where you might host a U.S. Open. But, at the same time, we want the same shock value to stay in place that it had when Pebble Beach opened up in 1919. You want the integrity to stay intact and the history will continue to build.